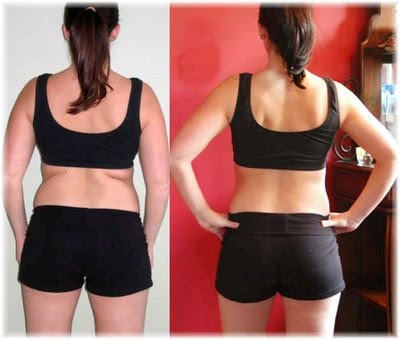 Even as many of us yearn to wear the sheer, body-hugging fashions available today, we are stopped by our rear reflection and the sight of dreaded back fat rolls and lumps. A study published in the October issue of Plastic and Reconstructive Surgery®, the official medical journal of the American Society of Plastic Surgeons (ASPS), reveals a new back lift procedure that removes these unsightly bumps and bulges while hiding the scar under the bra line. "For many patients—even the very fit ones, such as an aerobics instructor—the upper to mid-line back where the rolls and bulges form was very frustrating," said senior author Joseph Hunstad, MD and ASPS Member Surgeon. "This redundancy of skin occurs generally from aging and cannot be exercised away. For those who desire to wear form-fitting outfits, this procedure eliminates the problem." The study reviewed seven female patients who had the bra-line back lift between 2001 and 2007 with an average follow-up of 22 months. Pre-operative marks were placed to outline the patient's brassiere, as well as delineate the excess back tissue to be removed. The procedure removed the redundant skin, sometimes up to 8 or 10 inches wide, and connected the remaining tissue together. According to the study, the procedure takes about an hour from start to finish. The authors have completed the bra-line back lift on 20 patients to date. The study found minimal complications and about two weeks after surgery, patients were allowed to increase their activity levels based on their discomfort. Feedback from all seven patients was uniformly positive, according to the study. The study concluded that the procedure is a safe and powerful method to contour the middle and upper back – literally removing all of the back rolls and folds. By placing the scar within the patient's bra-line, it is easily concealed even by a two-piece bathing suit, according to the study. "This is an exciting new procedure that gives patients concerned about this area of their body a possible new option to discuss with their plastic surgeon," said James Wells, Chair of the ASPS Public Education Committee. "As with all new procedures that are not yet widely practiced, patients need to choose an ASPS Member Surgeon who has a comprehensive understanding of how bodies change over time, the impact of environment and lifestyle and the know-how to develop the best treatment plan for the best result." According to the ASPS, more than 19,500 lower back lifts were performed in 2007. Currently, statistics for upper back lifts are not available. via American Society of Plastic Surgeons/EurekAlert.